Arkitecture Studio is a leading architectural firm, Full service home architectural design company, in heart of Calicut City, Kerala since 2010. Our specialization is in Victorian, Colonial, Mughal, Classic ,Traditional and Contemporary concept of luxury and modern style home Exterior and Interior designing solutions. Our team of expert architects, interior designers and civil engineers are leaded by Architect Zainul abid and Architectural Consultant Muhammed Shafi v. Our multi-storey home plan presents an eccentric asymmetrical facade to the viewers, providing a feeling of individuality and personal expression. Number of our satisfied clients and customers in Kerala, Tamil Nadu,Maharashtra,Bihar and Karnataka are our best testimonial for our quality works and sincere approach to our projects. Arkitecture Studio have a unique and distinct style, and are a must see for those looking for a fresh and original take on new kerala home designs. Aesthetic architecture designs created by our expert designers, Arkitecture Studio home showcases the next level in style, quality, beautiful home exterior and luxury. Whether you are interested in custom designed luxury house designs, Arkitecture Studio offer our customers outstanding customer service and stunning new dream luxury home designs. 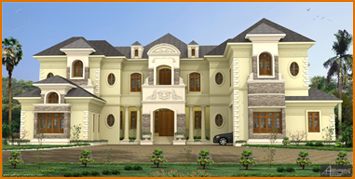 Our professional home design team will work with you to provide exceptional architectural services for house designs in Kerala style houses, on-site at our well planned designs to ensure your new home and includes everything you could ever need and want. Arkitecture studio�s team of architects and interior designers collaborate to focus on improving the functionality of your property by optimizing the space. Arkitecture studio lives architecture which, in turn, lives and exemplifies the lives of its numerous clients and users. If you are looking to achieve a luxury elegant and colonial or contemporary look to the exterior of your property, We can fulfil your Dreams, Our architecture is a living organism with which we identify architecture and our own existence. So attached emotionally is our architecture that, surely, it is not an exaggeration to say that the structural and functional states of our buildings deeply influence complete being and personality. Our attachment with each project is often something beyond professional. We become emotionally attached to them even to the extent that it causes a sort of an acute pain by the time we have to hand over the project to our clients. Arkitecture studio approaches interior design with an architectural eye. We maintain this essential professional capability in-house so we may evaluate and improve fundamentals of your property and, if necessary, the outside which surrounds it. Working to your requirements we can effect simple or significant alteration that enhance the composition and character of rooms, resolve flaws in the original construction, and increase market value. At every stage from the ground level, Arkitecture studio take great care to learn every detail of your requirements so we may delivers a truly personal service. We take an intelligent and considerate approach to design those results in a well-resolved balance between style and usability. The beauty of good design is found in the way something functions as well as in how it captures the eye. 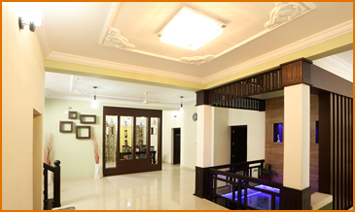 Contemporary style, roman style and classic style interior design creates artistically stimulating, fresh climate in kerala home designs. New, interesting solutions are spreading mental stimulation and vibrancy.